Hey nail art junkies, it’s time to upgrade your mani! And if you’re not finding time to pay your manicurist a visit, we have something that will help you big time. We scooped out some really useful nail art hacks that you can totally pull off at home. These pro secrets and tricks will ensure you don’t a have a bad nail day ever! So get your manicure kit and nail the most intricate and dramatic of designs in no time. Fishnets for fishnet nail art, duh! Tried your hands on spray painting with a toothbrush in school? It’s time to put your skill to use. Start with a white base coat. 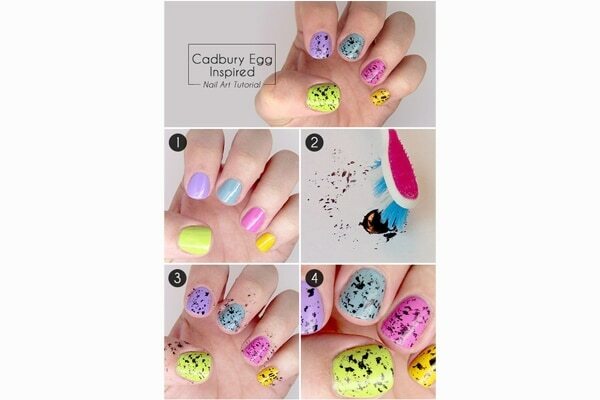 Run a small toothbrush through drops of nail colour of your choice and just spray! Remove the excess product using a Q-tip dipped in nail remover. 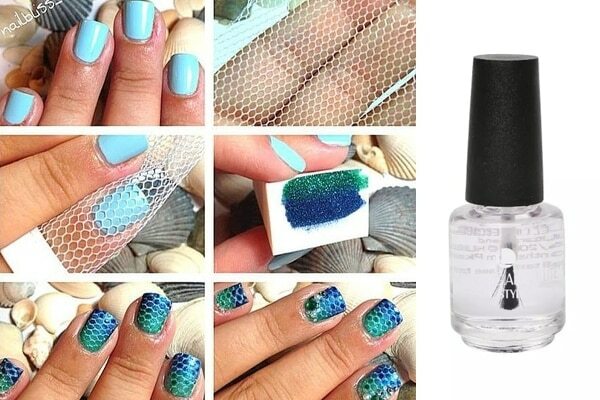 To ace the fishnet nail art, all you need is a… fishnet! Cut a small portion of fishnet and place it on the nail. 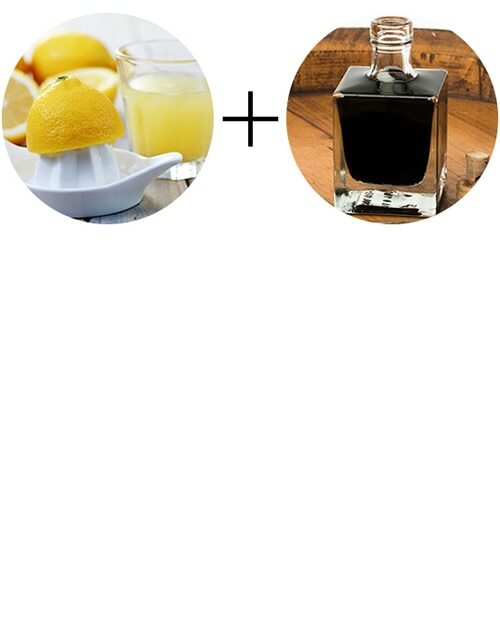 Mix a few drops of two nail shades of the same colour family and dip a sponge into the mixture. Press the sponge onto nails and remove the fishnet. Finish off with Lakmé Absolute Gel Stylist Nail Polish in Top Coat. To get a colourful striped manicure, begin by applying a light shade on nails. 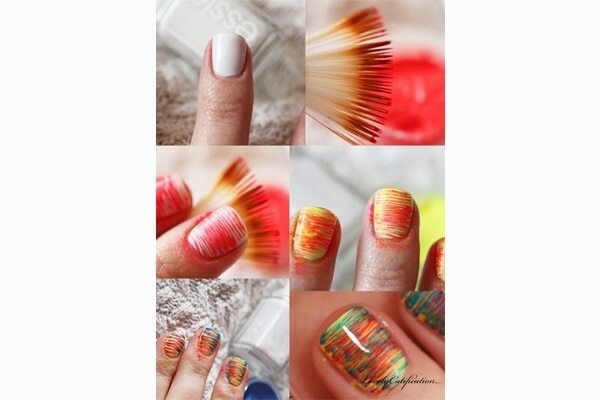 Next, get hold of your highlighter brush or fan brush and run it through drops of different nail colours. Use it to paint stripes on the nails. 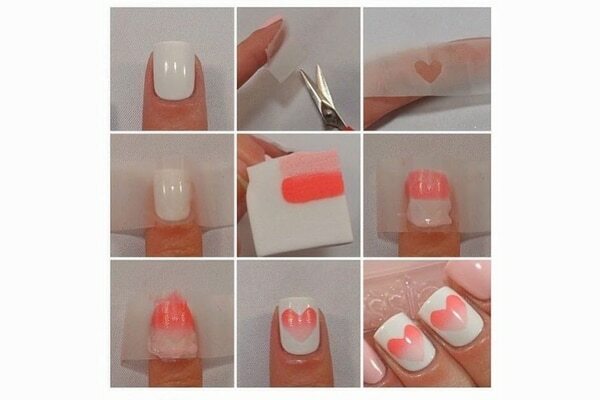 When you want to wear your heart on your nails, just grab a piece of craft tape. Apply a white nail colour to start with. Fold a small piece of craft tape and cut to make a heart when you unfold. Paste it on your nails and press a sponge decked with two nail shades for ombré heart design. It doesn’t get easier than this, girls. Apply Elle 18 Nail Pops Nail Polish in a shade of your choice and once it dries, put few drops of a lighter and a darker shade of same colour. 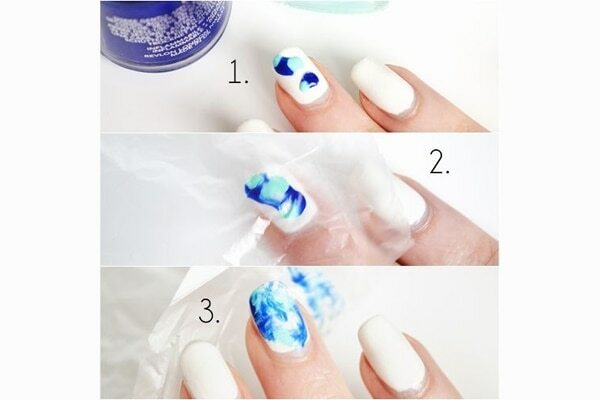 Cover the nail with a plastic bag and press lightly to smudge the colour. Take it off and apply top coat. Team BB reveals its crush! It’s the Lakme Color Crush Nail Art!